What is musical minimalism? Beginning in the early 1960s, some composers became very critical of Western art music’s traditional understanding of authorship. 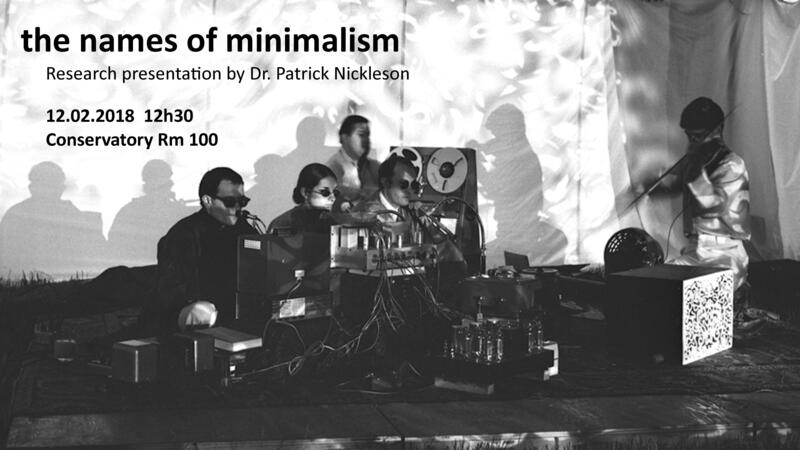 Looking at various “minimalisms” from drones to the Ramones, Dr. Patrick Nickleson argues that minimalism played an important role in bridging popular and avant-garde musics in the 1960s and 1970s. Admission is free, all are welcome. For more information please call the Department of Music at 364-2374 or email music@mta.ca.